AN EIGHT-YEAR-OLD BOY, who fell and lacerated his forehead at The Deer Park Hotel, Howth, Co Dublin, more than five years ago, has been awarded €25,000 damages in the Circuit Civil Court. Barrister Roger Cross told Judge Eugene O’Kelly that no-one saw the then toddler, Gabriel Jakuska, fall and strike his head against a metal stairs handrail outside the hotel in July 2013 and for that reason he was recommending the court’s approval of a €25,000 settlement offer. Cross said Gabriel, who was only two years and eight months old at the time, had been taken by ambulance to Temple Street Hospital where the wound in the middle of his forehead had been glued and stitched. Judge O’Kelly heard that the boy, who sued the hotel through his mother Oksana Jakuska, of Willsborough, Clonshaugh, Dublin, was still very aware of the one-inch-long red scar on his forehead about which school pals frequently commented. 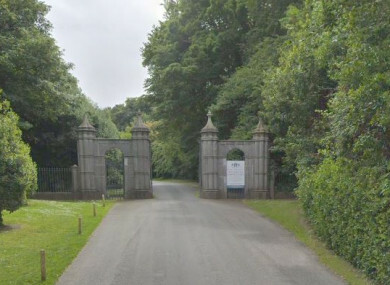 Cross said Gabriel struck his head against a very sharp corner of the metal railing and the defendant, Deer Park Golf Course, Cookery School and Howth Estate Company, had entered a full defence to the boy’s claim. The defendant, known as the Deer Park Hotel, had pleaded that the accident had effectively been caused by the boy himself and forensic engineers, who had examined the rails, had agreed they fully complied with regulations. “The accident was not witnessed by anyone and no-one knows how it happened,” Cross told the court. Judge O’Kelly, who consulted a plastic surgeon’s medical report, said the scar was a prominent one on the centre of the boy’s forehead and he was gravely concerned that were the case to run to full trial, particularly in circumstances where a full defence had been entered and the boy was so young as to have no recollection of the incident, it could be lost. The judge approved the settlement offer. Email “Boy (8) awarded €25,000 after falling and lacerating face outside Howth hotel ”. Feedback on “Boy (8) awarded €25,000 after falling and lacerating face outside Howth hotel ”.